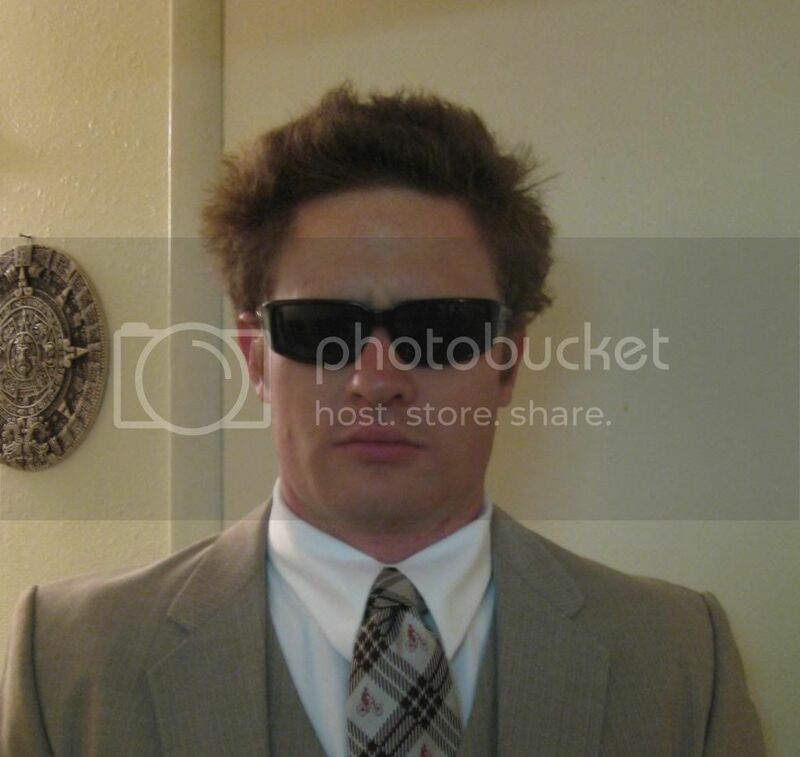 I was 20. A silly girl in many respects, but I was starting to realize a few things and did happen to have my head screwed on straight. The first activity of the fall semester was a bonfire. September in Utah the heat still clings during the day but it dies off by the evening, making for a very pleasant effect. I had been on the activities committee the entire summer and this would be our first big event. I was in charge of the firewood. A summer fling that I had hoped would turn into something was dying, and I was in a huff. In order to avoid this unfortunate boy, I set off with my friend Rachel to meet some new prospects. It was dark except for the glow of the fire. We approached a set of boys who introduced themselves as Willis and Ben. One was short and one was tall. The short one definitely wouldn’t do for Rachel, who was nearly six feet. He had a kind face, bushy hair, and he laughed at my jokes. The next weekend I went on a bike ride with my friend Dan. We had a wonderful time on the trail, my first time mountain biking. It had been a misty September morning and we were covered in mud as we trailed up the stairs of the apartment complex. Coming down the stairs was the friend I had met at the bonfire—Ben. “Yes it was wet on the trail this morning!” Dan replied. I gave Ben a smile as I walked up the stairs, hoping he wouldn’t think Dan my beau and instead know we were just friends. Monday rolled around and we had our first official Family Home Evening as a ward. My sister was in charge and had asked me to help out. “Can you run one of the rotations on the bottom floor?” Haley said breathlessly as she tried to arrange the remaining games. I ran the game in apartment 3, checking out all of the new boys as they rotated through. I wore my best jeans and the biggest smile. I was from apartment 14, which over the summer had been a hot spot for friends of the male variety. When a big group of boys came in I got to work. I was vivacious and funny. People had a good time. Ben Dilsaver was among them. September ended and October began. We did have a lot of male callers in apartment 14. I got caught up in the fun of it all. We threw a huge dance party that was busting out the door. Several of my favorites came, but I was hoping for a certain boy of the fluffy-haired variety. His roommate had been over several times to visit us, so I knew he was aware of the party. Near the end a few stragglers came in, including Ben. “I didn’t take you for the dance party type,” I told him with a coy smile. “Yeah I’m not much of a dancer. But I heard there was a party so I thought I’d drop by,” he said with a twinkle in his eye. October was coming to a close. Another fling had fizzled and I was left with no one to ask to the roommate date. I thought of Ben, who had been so nice to me on the stairs, who dropped by our party just to say hello. He had just started his masters program, though, so I knew he was quite a bit older than me. I suggested him to my sister. She shrugged him off, “I’ve got somebody else,” she told me. His roommate Brandon frequented our apartment, and never had a mean thing to say about him. “He likes country music, he does the dishes, I’d say he’s my favorite roommate.” I decided to test out the waters and go over and get to know him a little better. One weeknight I went over after class, claiming I needed to return something to Brandon. Ben was there and we got to talking. Conversation flowed so easily! His laugh was gentle and he was so easy going. He was handsome in a classic sort of way, he didn’t draw attention to himself. October 30th, 2008 was our Halloween roommate date. We started with hide-and-go-seek on the elementary school grounds. I hid in the bushes and Ben came and slid down beside me. I was glad. We were alone in the dark, and I wanted him to reach over and grab my hand. 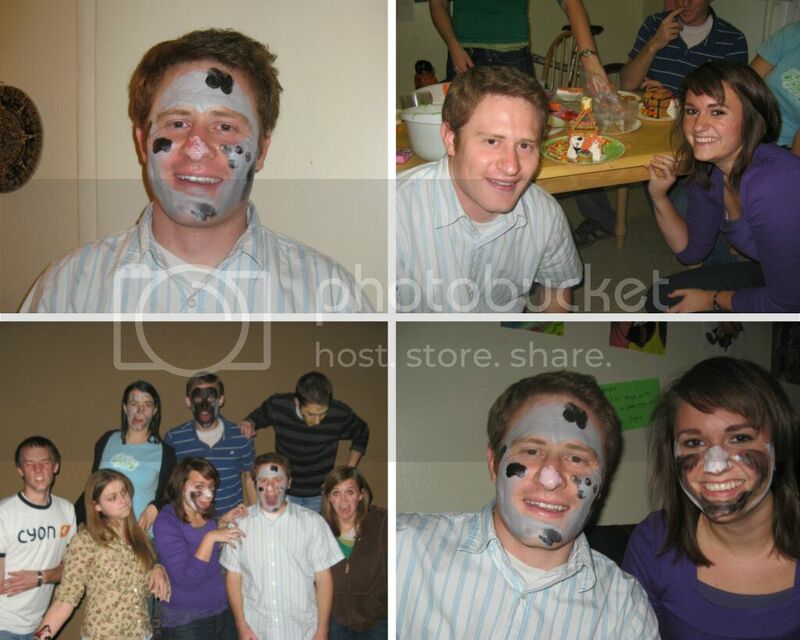 We all went back to the apartment to construct some “haunted gingerbread houses” and do some face painting. We didn’t tell the other one what we were painting. I touched the paint to his face with my fingers and finished with some spots: a dog, I told him. Little did I know how familiar I would become with the lines of that face. Halloween came and Ben needed some help, he said. He had been growing out his hair just for this occasion: he wanted to see what it would look like straightened, fro-ed out on Halloween. I happily complied. Any chance to see you again, I thought, and I get to touch your hair. November was cold. A group of our friends decided spur-of-the-moment to make a run for some Smart Cookies. We piled in to Marissa’s jeep. “Ashley there’s room for you! Right here on Ben’s lap!” Haley joked. She knew about my little crush. I’ll admit I was a little embarrassed to sit on his lap, but being close him was something I didn’t mind. Oh the memories! I'm glad I got to be a part of them! This is fun! Can't wait to read the rest. :) That's what Jer says about Ben too, that he was great at the dishes.